The Lyndon Baines Johnson Museum of San Marcos is the only Johnson site in Texas dedicated to his university student years, including the time he spent teaching in Cotulla, Texas. 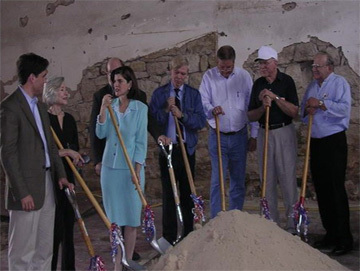 Efforts to create the LB] Museum of San Marcos grew out of discussions by community representatives serving on the Mayor’s Blue Ribbon Committee on Tourism Development, 1996-1997. In its final report, the committee recommended that the museum be established to preserve the LBJ legacy by focusing on his years spent as a student at Southwest Texas State Teachers College, his teaching experiences in South Texas and the impact of these experiences on his role in the development of landmark legislation in the areas of education and civil rights. The LBJ Museum received its corporate charter from the State of Texas in July 1997. 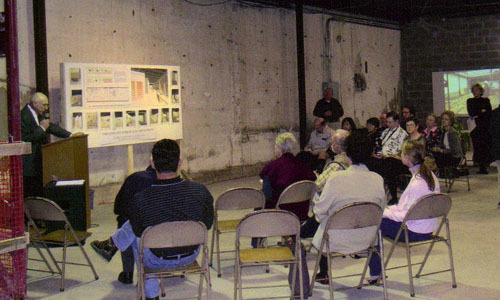 On Feb. 22, 1998, Hays County Commissioners gave their unanimous approval to an agreement through which the museum board leased an abandoned county-owned movie theater on the courthouse square at 131 N. Guadalupe Street for 30 years for a nominal fee. In 2004 the lease was extended to 50 years. Under the agreement, the board agreed to raise funds to renovate the building, which was in a state of serious neglect and disrepair, but had great potential as a museum site. Local architect Ngoc Nguyen volunteered to produce preliminary sketches for the renovation of the old theater to the museum and was later hired by the board to create a master plan for the renovation. The initial project was divided into four phases. The first phase was to remove the asbestos from the building and complete interior demolition. 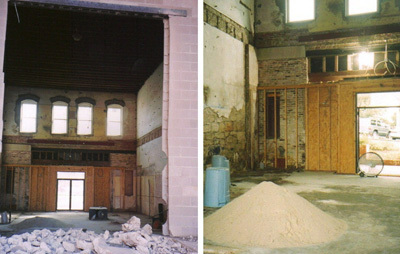 This demolition was achieved by craftsmen from Gary Job Corps Center – the first such training center created by President Johnson in the nation. The second phase restored the historic building facade. The third phase was devoted to structural renovation of the building at a cost of $225,000. Phase four was the interior construction and finish work for the first floor. The Hobby Foundation, the Texas Pioneer Foundation, the HEB Foundation, Tanger Outlets founder Stanley Tanger, CenturyTel, and numerous San Marcos citizens and businesses, such as founding board members John and Marsha Cooper, William and Eleanor Crook, and Dr. Gwen Smith, have contributed generously to the museum. The museum also draws strong support from the City of San Marcos, the San Marcos Convention and Visitors Bureau and the Hays County Commissioners Court, as well as the Greater San Marcos Chamber of Commerce, the Downtown Association and the Main Street Program. Texas State University has strongly embraced the concept of a community museum dedicated to President Johnson since it is the only Texas University to claim a U.S. President as an alumnus. Following more than nine years of work, the LBJ Museum opened its doors on Dec. 6, 2006. Luci Baines Johnson, LBJ’s daughter, and Candace Call, a North Carolina educator who credits her success with her enrollment in Head Start, were the keynote speakers. Hays County renovated the second floor in 2009-2010, including the installation of an elevator that allowed the museum to open the second floor of its historic building to the public in the early summer of 2010. The second floor has a meeting room, auditorium, special exhibits and archive room. 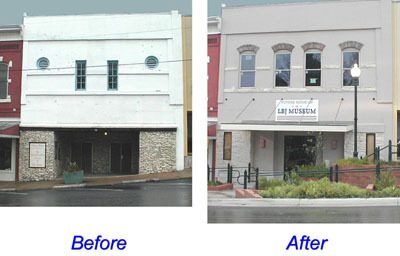 The museum received a grant of $85,000 from the City of San Marcos to build an archive room and a room to curate exhibits in the employee section of the museum on the first floor, also completed in 2010. The LBJ Museum of San Marcos Board of Directors includes Dr. Ed Mihalkanin, President; John H. McCrocklin, Vice President; Linda Rodriguez, Secretary; Scott Gregson, Treasurer; and board members, Dr. Carmen Imel, Wayne Ammel, Charles Soechting, Teresa Santerre Hobby, Vicki Meehan-Clarke, and Melissa Millecam. Rafael Garcia serves as Museum Manager, Crissy Campos is Assistant Manager and Texas State University provides student interns to assist throughout the year. The museum is open to the public Thursday – Saturday from 10 a.m. to 5 p.m. Group tours may be arranged by calling the LBJ Museum at (512) 353-3300. Museum facilities, including the second floor auditorium and a conference room may be rented by civic, educational and cultural organizations for special events.